Are you mainly using your blog or website as a marketing outlet? Whether you sell a product of some kind, a service, or with the use of affiliate links, page views are important to your success. The more page views and traffic your website receives, the more your earnings potential increase. You may not classify yourself as an internet marketer per se, and that’s ok. There are plenty of ways and reasons for outsourcing internet marketing tasks. Your goal of course, is to market a product or service. This involves taking many steps. There are many common and successful internet marketing methods. In fact, you may be overwhelmed with your options. The more you advertise a website, product, or service, the more interest is generated. I heard a time or two that people have to see something advertised about 7 times on average before making a buying decision. Wow! So, you may want to implement each step you learn, and get it done fast. But what if you run into a brick wall? What if you don’t have time to implement them all? Before focusing on internet marketing tactics that are ideal for outsourcing, it is important to examine the pros and cons. For starters, hiring an outsourced worker will allow you to get more done. Remember, the more you market, the more money you can earn. Aside from increasing your earning potential, outsourcing also gives you freedom. This is ideal if you don’t want to spend many hours a day in front of the computer. And if you’re a mom like me, you simply do not have that kind of time. You must find a qualified individual to help. If you hire someone who is unfamiliar with internet marketing, the job may be done wrong. This not only wastes time, but money. So remove this as an issue; only hire those who are qualified to do the job and properly. Ask questions and get examples of their work before making a decision. Interview them via Skype if you have to. Many people write like they talk so this is a good way to hear how they talk. Also, make sure they can follow directions. Articles. Content is king (as most of us know) to internet marketing and it can be used multiple ways. Updated websites with fresh content keeps readers coming back. Hire a freelance writer to write pages for your website, newsletter, or blog. Some people will charge around five bucks for an article. Whether they write product reviews or keyword articles to drive in search engine traffic, they are helping you market your site. You can also take that content and repurpose it as you wish. ie. Tweets, FB posts, podcast, videos, etc. So the payoff is huge. When hiring a freelance writer, look for an individual who has experience writing combination keyword and content articles. This means the articles will be interesting to read, but liked by search engines. Always review content before placing it anywhere on the web. Ensure it is professional and original (and no grammar errors). Submitting to article directories. Do you like to write your own content? 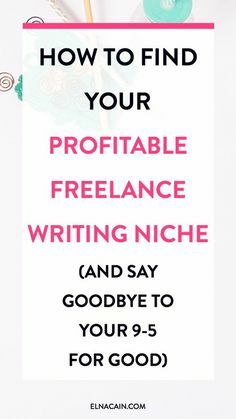 If so, you may not need a freelance writer, but someone to help you spread your content. Submitting articles to article directories with the use of backlinks can improve traffic and sales. The submission process is easy, but tedious. So, hire someone to submit your content for you. This is very affordable, as some will submit for less than $2 an article. Blog Posts. If your main goal is to generate traffic to a website where you sell a product or service, rely on the use of your blog. Since blogs are updated often, they tend to accumulate more readers. So, hire a blog post writer. This is cheaper than hiring a general content writer, as blog posts are shorter and easier to compose. Here too, you can repurpose the content. When hiring a blog writer, provide clear instructions. Blogs are usually casually and conversational in tone. If you want your writer to take a professional approach, make sure they understand this. Since the goal is to drive traffic to your website, be sure links are included in each post (and they work). Graphics. Easy to outsource and less time consuming than figuring out how to create them yourself. I spent years learning graphics and have a business doing them for others, (my ROI) but it can take up space in your day if you’re trying to be really productive. In addition to outsourcing internet marketing tasks to qualified workers, you have the option of hiring a professional internet marketer. This approach will work, but it can be very costly. It may be more cost effective to do your own internet marketing if possible and outsource on occasion. You can people that do all of this kind of work and more on sites like Fiverr, Elance, Freelancer, and Guru navigate to this site. If you need a Virtual Assistant, you can look into HireMyMom or Odesk (now apart of Elance). Here’s a look at other outsourcing tips and facts to think about to help you make a decision on outsourcing.